Beacon Falls, CT – August 3, 2016 – Lavatec Laundry Technology announced today that highly respected industry veteran Jim Slatcher has joined the company as Western Regional Sales Manager. A second generation laundry industry manager with over 30 years of operations experience, he will be responsible for developing and expanding Lavatec’s presence in 10 states, including Alaska and Hawaii. For the last 11 years, Jim has managed his own consulting company where he assisted clients in the design, management and build out phases of new facilities, in addition to financial and operational optimization. He also managed an OPL in Mesquite, Nevada for the last four years. Jim’s career has included stints with Textek, Sodexo, Crothall and Tartan in every region of the U.S., and has a distinct familiarity with Lavatec equipment. "When I first started in the laundry industry, I worked for Western Linen Services (Service Control Corp.), which was a five tunnel, all-Lavatec plant. Throughout my career, various plants I managed had Lavatec equipment, as well as some of my clients," said Slatcher. "I accepted this position to help customers effectively improve their operations through the purchase of what I consider the most reliable equipment manufactured in the world." "I’ve known Jim for many years, including the time he spent with Sodexo and Tartan in South Florida and when he was at Textek in Georgia," recalled Keith Ware, Lavatec Vice President of Sales. "His father was involved in the laundry business so Jim was well prepared right from the beginning. His addition really strengthens our team and I’m looking forward to working with him." 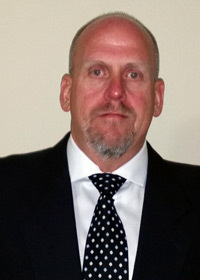 Jim is based in Las Vegas and can be reached via email - j.slatcher@lavatec-laundry.us or call him at (203) 707-4468.